The average home siding installation project costs between $5,500 and $15,000 for exterior home siding replacement. Vinyl siding costs about $1.00 to $2.55 per square foot compared to fiber cement at $0.75 to $5.75 and upgraded brick siding costs about $3.25 per square foot. Whether you’re planning to have siding installed on your home for the first time or it’s time to replace the current siding with an upgrade, determining the type of siding material is one of the first steps in the process. 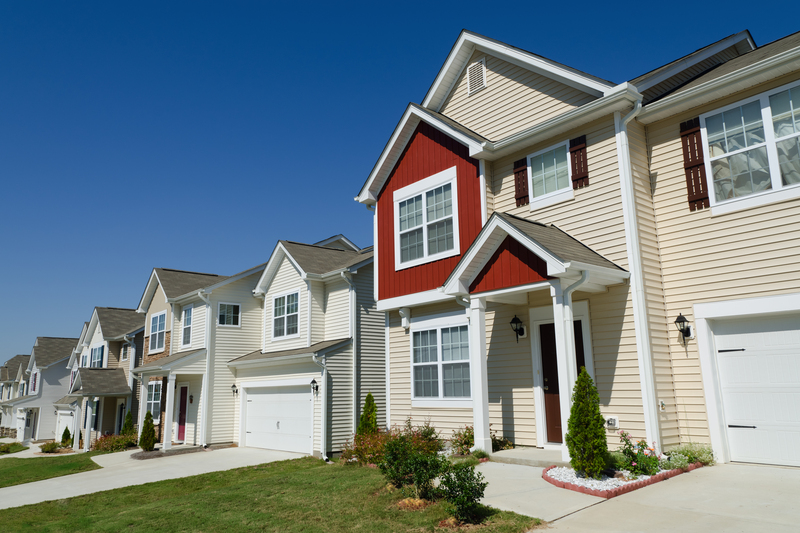 Since new siding can be a significant investment, it’s a good idea to use the expert help of a contractor or siding specialist who can supply a bid or estimate based on the square footage and includes the type and amount of material needed, labor, and any additional costs that factor into the price. Hydrants, outlets, vents, including hydrant faucets, gable vents, plug-in outlets and light fixtures: $300.00. This vinyl siding installation estimate would not include the costs of window trimming, soffits or fascia board. 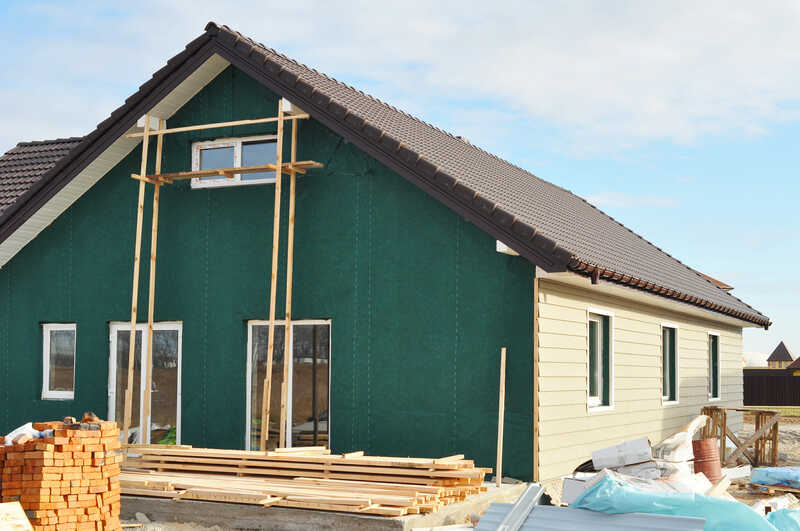 To get an estimate for siding pricing purposes the calculation is – wall lengths multiplied by the height of the house. For example, take a two-story home that is 25-feet by 45-feet (2,250 square feet of flooring) with an exterior of 2,800 square feet. To do the calculation, totaling the wall lengths then multiplying by the home’s height. For the two-story house the calculation is 25-feet + 45-feet +25-feet + 45-feet x 20-feet which equals 2,800 square feet. Siding installation prices vary for price per square foot. Using $3 to $10 per installed square foot, the siding project can range in cost from $8,400 to $19,600. That estimate is for siding installation, only. If your home has siding that must be removed, add an additional $1,000 to $3,000 depending on the size of the home and the amount of siding to be removed. A good rule of thumb to remember is that anytime a building is being altered, a permit is needed. In the case of siding, if it’s a simple repair to damaged siding, a permit most likely won’t be needed. To find out what your city or county requires, contact the local Planning or Development authority for exact information on requirements and fees. You will also want to know if an inspection is required after the project is completed. An inspection may not be necessary for your area but you do not want to make that assumption. A simple call when inquiring about a permit can save you time and additional fees should you ignore the requirement. Many city planning centers provide applications both in person or online. Most can be issued the same day. Like the permit, a licensed contractor may be needed for the siding project. Because adding or replacing the sizing can be a costly project, it is recommended that you hire a professional licensed, bonded and insured siding contractor. Not using a licensed contractor for the installation could make your warranty invalid. Check with the local authority about contractor requirements as well as what the warranty for the siding materials entails. When planning a new siding installation project, one of the first steps is choosing the type of siding that suits the style of your home. The second step is to ensure it can withstand the seasonal climate of your area. Factors to consider is the home’s proximity to salty ocean air, year-round average temperatures, humidity, wind, rain, and the frequency of exposure to inclement and severe weather such as blizzards, ice storms, tornadoes, and hurricanes. As with any home improvement project, if you want it done right, hiring a licensed siding contractor is your best option. Do your research on the types of materials available, choose the one that is best suited for your area, get any permits necessary, and let a licensed siding contractor take care of the rest.